Chimpanzees, including common chimpanzees and bonobos, are our closest living relatives. This book, which is the first photographic and descriptive musculoskeletal atlas of the genus Pan, adopts the same format as the photographic atlases of Gorilla and Hylobates previously published by the same authors. 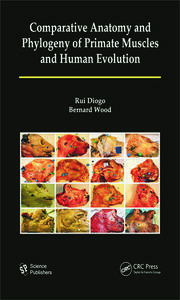 These three books are part of a series of monographs that will set out the comparative and phylogenetic context of the gross anatomy and evolutionary history of the soft tissue morphology of modern humans and their closest relatives. 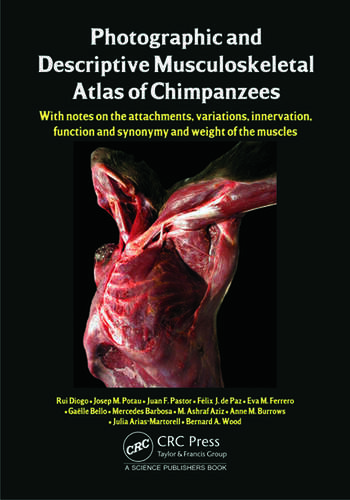 The atlas, which includes detailed high-quality photographs of musculoskeletal structures from most anatomical regions of the body as well as textual information about the attachments, innervation, function and weight of the respective muscles, is based on dissections of up to 12 chimpanzees and on an extensive review of the literature. 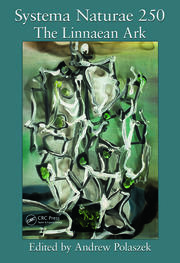 It provides an updated review of the anatomical variations within chimpanzees as well as an extensive list of the synonyms used in the literature. 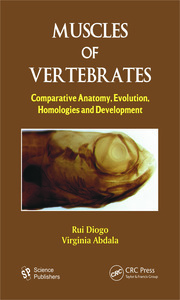 The book is designed for students, teachers and researchers studying primatology, comparative anatomy, functional morphology, zoology, and physical anthropology and to medical students, doctors and researchers who are curious about the origin, evolution, homology and variations of the musculoskeletal structures of modern humans.